East Suffolk Council branding up for award: and the votes are open! Spring’s brand identity is amongst the finalists in the frankly rebellious comms2point0 unAwards. Working very closely with the council’s communications team, we created a number of designs which they then offered up for democratic selection. We’re delighted with the outcome: this was one of the proposals that had the strongest creative strategy behind it, and is very much fit for purpose and easy to deploy across a wide range of media. 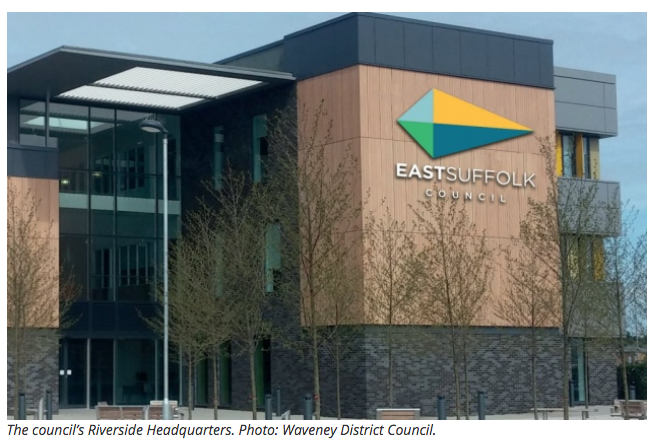 It’s worth saying that the amalgamation of two district councils, Suffolk Coastal and Waveney District, into the East Suffolk Council has made it the largest such authority in the UK. Voting for the awards is a similarly democratic process, we’d be delighted to receive your support for our client’s comms team on the site http://www.comms2point0unawards.co.uk/vote-now/ (it’s number 15, Suffolk Coastal and Waveney District Councils, in the Best Comms/Digital Team category) by the 26th November – and here’s hoping they’ll be the happy recipients of a gong in Birmingham later this year!